Last week, I put out a post outlining that I was going to challenge myself in the coming year to write 4000 words a day a minimum of five days a week. For some, that may be quite a bit and for others that may be a little on the low end. That number is very comfortable for me as it gets me into a regular schedule of writing and accomplish an amount of work I know that I can do. The question is whether or not I can keep up the pace for the whole year. Yes. That’s the plan. Write 4000 words a day a minimum of five days a week for the whole year. Suffice to say, that’s a lot of writing. But I have a feeling that as I keep track of everything I write, I will be surprised. It reminds me of when I decided to get back to into writing many years ago. I pulled out a box of material I had written from the 1990s (okay, I’m dating myself). It was stacks and stacks of material. Included with that are all of the stories that are in the Dark Corner, specifically The Visitor, The Gift, and The Basement. Couple that with gaming adventures, comic book scripts, and many other things, it was clear I was a writing fool. That has not changed and has only increased. So I am confident I’m able to keep up this pace. I have plenty of projects to stay busy all year and then some, so having ideas is not going to be a problem. So why did I decide to write this much? There are a couple of reasons. One reason is I want to train myself to be serious about my craft. To know that there is value in what I’m doing. Many writers suffer from a bad image about themselves as novelists because of a stigma that is attached to the vocation. We need to stop that. We are adding value not only to an individual’s life but when taken together, the world. I’m not interested in being a hobbyist writer. I don’t aspire to be a professional writer. I consider myself a professional writer right now. Professionalism is not based on a financial amount or on the number of books you have out as a writer. Professionalism is based on an attitude. I am a professional novelist and I don’t want to just talk the talk but also walk the walk, to actually be doing it. Most people don’t take the craft of writing seriously. It’s not an art form being appreciated by too many folks until they see a book in a bookstore. One of the reasons for this is that people are not reading as much anymore in terms of books. There is way too much media and video and the pressing out of reading decent books is there but it needs to increase. The more people that read, the more people who will appreciate writers. In addition, people have been programmed with the false notion that the only serious writers are those that have books in a bookstore. It’s 2019 and that couldn’t be further from the truth. It’s an antiquated way of thinking about publishing but old perceptions die hard. Another reason I’ve set this particular goal is because I want to release a certain amount of books this year. I’ve even put the next book on pre-order with a release date at the end of March. That’ll be here before you know it. Most people couldn’t write a book that fast and release it. I plan on being one of the exceptions to the rule. At my current pace, I will have written two books and possibly three by the time the March release comes around. I’ll be way ahead of the game. That’s always good when releasing a new novel. We are now on day four of 2019. Officially, three days have passed. And was I correct? Am I able to keep up this writing pace? Well, I’m feeling pretty good y’all. Let me tell you what I’ve done so far. I’ve been keeping a written journal of my word count each day. I’m going to transpose these numbers to a journal that I will be keeping here at the website. It will be a new menu drop down people will be able to take a look at. That journal is going to have a little summary paragraph of what was written for the day as well to keep things interesting and to be able to track it with more detail. 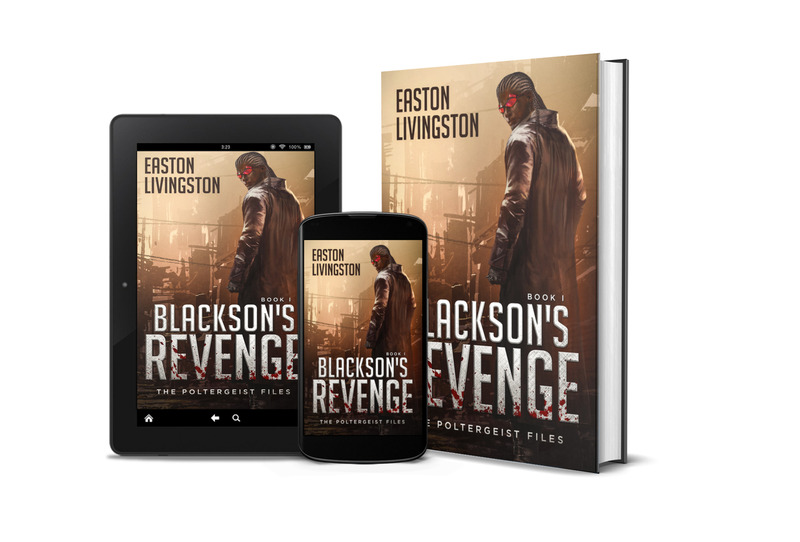 The first three days were spent primarily writing the outline for the next novel in the Poltergeist Files, Blackson’s Repentance. I was quite surprised that it only took me three days to get the rough draft of my outline done for the whole book. 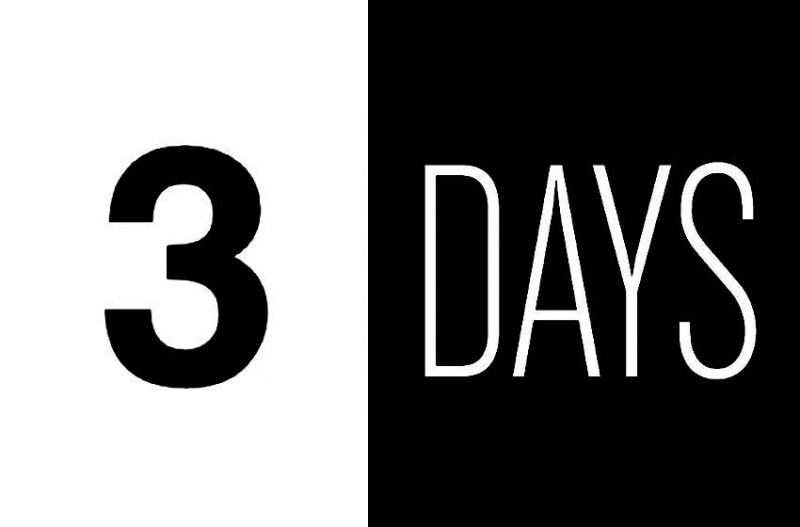 Three days. I couldn’t believe it. I also wrote some posts for some other creative endeavors but that was only one and it was small. By far, the outline was where the bulk of my attention went. I’m a hybrid writer as far as my style. I outline my novels because I need to know where the story is going and how it’s going to get there. I write a summary of every chapter and the main things that need to happen in that chapter. The very important details that tie together in other chapters are also highlighted. This helps with continuity and also helps so I don’t write myself into a corner. I’ve been using this method for a while and I’ve never written myself into a corner when I’ve started with an outline. As a matter fact, my writing just flows. My outline is my map and I need my map to get to where I’m going in the most efficient and fastest way possible. But this is not a heavily detailed outline. I leave room so when I begin to write a chapter, I know exactly what’s going to happen and to some extent, loosely know how it’s going to happen. How I’m going to write that is a spontaneous process. So I’m a planner and a pantser if we want to still use those terms. For those of you who may not know the difference, a planner is someone who plans out their whole novel in outline form in detail and a pantser is one who of sits down and starts writing without knowing where the stories going to go and just lets it develop as they write. I do both to a certain extent and it is a process I have found to be productive and satisfying. Normally, it takes me a little bit of time to get through the whole outline. Maybe a week or so. But since I’m on a mission this year to write regularly, no holds barred, the rough draft of that outline is complete and I am a happy camper. This progress is exciting. It spurs me on and lets me know it can be done. I can do this. Not only can I do it, you can as well. You have to change certain things in your life in order to accomplish these kinds of goals. As I’ve mentioned before, television has been put by the wayside. The only day I’ll be watching television is on Sunday… maybe. I also have a reading goal. Though some television programs inspire me to go write, books do the same thing and is much more beneficial for my creative right brain. So, we’re starting off this year pretty well and were only on day three. I’ve always known that I would be a writer in some way shape or form. Then I think about all the days I’ve wasted in the past, all the things I’ve could’ve written up until this point and I sigh and cringe. But I can’t cry over the past because that’s done. I can control the here and now and do what I need to do, letting the days take care of themselves as long as the Lord will allow me to live. That is the new attitude I have. I’m applying it to my writing now and everything else. I’m going to have a lot of fun doing it. The year 2019 will prove at least one thing — that I concur with the simple mantra of every writer: writers write. And I’m going to be doing much more than I ever have in my life. I’m curious to see what happens as a result. I’ll be setting up my journal this week here at the website if you want to follow along you’ll be able to as well. Well, that’s it for now ladies and germs. I will see you in the Tapestry! God bless.